Common type of RTD is Pt-100, which is a temperature sensor made from platinum. 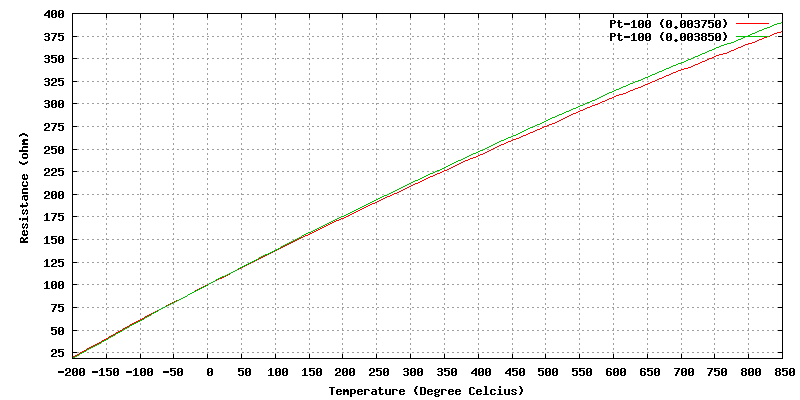 Resistance varies with temperature. 100Ω at 0 °C. Temperature according to ITS-90 (International Temperature Scale of 1990. The purity of the metal will determine the constants. 0.003850 is according to IEC 751-2 standard. Made from 99.99% pure platinum. 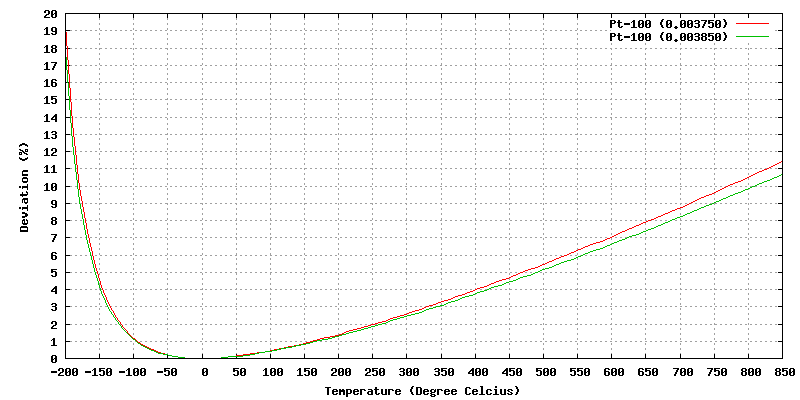 This graph shows the affect of B & C in the Callendar-Van Dusen equation. Percentage error if the RTD would have been assumed to be linear.